"People need not fear the unknown if they are capable of achieving what they need and want." 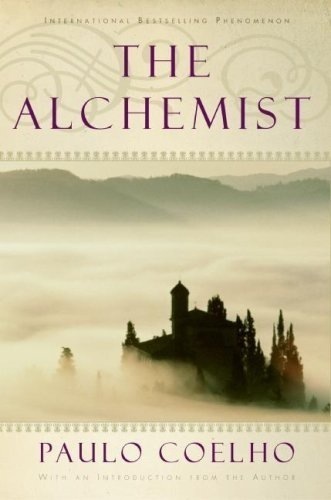 I just read The Alchemist, which is an allegorical tale about a shepherd boy from the Andalusian fields of Spain who journeys to Egypt's pyramid in search of his life's treasure and finds enlightenment along the way. It's a great read -- short but one of the more impactful books I've read in a long while. Reminds me a lot of The Little Prince, actually. Paul Coelho's also an incredibly visionary man as well. He actually encourages online distribution (aka piracy) of his books via BitTorrent. Regarding Pirate Bay, he recently said, "I am openly supporting their site. I even volunteered to travel to Sweden to discuss the case of open contents... I do think that when a reader has the possibility to read some chapters, he or she can always decide to buy the book later." Anyway, it's a remarkable book and I heartily recommend it.